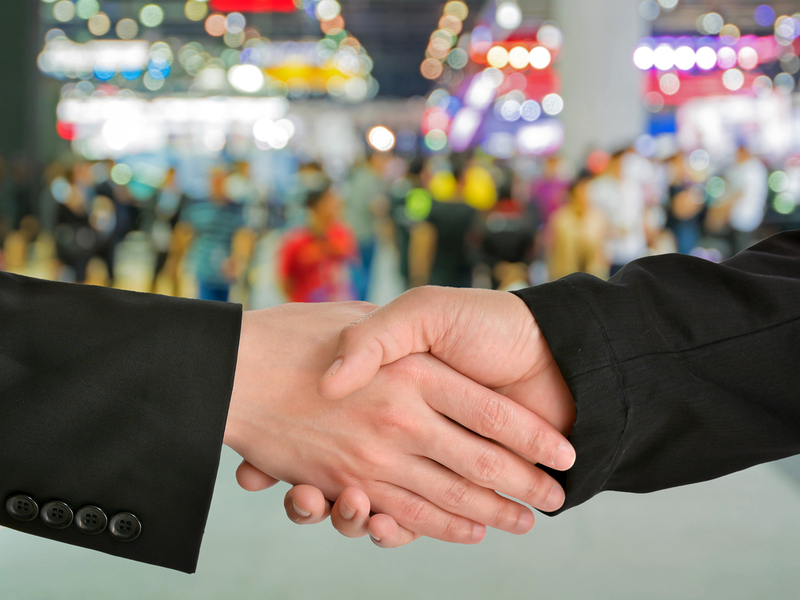 Every year, countless trade shows take place across the globe, giving businesses the opportunity to make invaluable new connections. You may meet new prospects, new potential business-partners, and discover exciting innovators set to transform your industry. Whatever sector of business you’re in, it’s vital to give any trade shows you plan to visit your full attention: don’t just book a stall / booth and leave the set-up to the last minute. After all, you may well miss out on some important developments and breakthroughs. Though it doesn’t apply to every trade show, many will actually offer prime positions in the venue for an extra fee. If you’re on a tight budget, you might struggle to justify this, but if it’s possible, go for it. You’ll likely end up with a much more visible stall, with greater people-traffic around you, giving you a better opportunity to attract new business. Setting your stall / booth up to attract visitors is pretty meaningless if your team gives off unpleasant vibes. Make sure yourself and any other representatives are smiling, warm, and welcoming – they shouldn’t pester people, but they should try to engage with them. In short: don’t give people an extra reason to walk on by. With an approachable team in place, your stall or booth has to grab the eye of every single person within range. Now, your products or services aren’t going to appeal to 100% of attendees, but the right set-up will pique their curiosity nonetheless. Use bright, vibrant colours, dynamic displays, lights, sounds, and other enticing features as best you can. Bottom line: make your area stand out from those around you by whatever technique you can employ. Picture the scene: an attendee sees your booth advertising an innovative dating service (for example). They approach you and ask what your key target demographic is and how you plan to make their membership worth keeping after their free trial’s over. Do you know what to say? You should. Even if you’ve only just started your business, have answers to every question attendees could ask, no matter how unlikely it is. Make sure your representatives know what to say, and have materials to hand to back their answers up. You want to give attendees as much reason as possible to register with you or make a purchase – and don’t underestimate the power of a trade-show exclusive. Consider creating a special variation of a specific product and offer it at a discounted price, or provide attendees with reduced rates on services if they sign-up with you on the spot. It might not change someone’s mind entirely, but it may well sway others who are on the fence. Even if your entire team is at a trade show, don’t neglect your social-media activity. Be sure to post pictures of yourself and your booth, and invite people to visit. Get involved with general chatter about the trade show itself, and converse with other exhibitors – you may well catch more visitors’ attention. Keep monitoring your feeds, too, in case people are asking about your booth position or special deals. Consider creating branded pens to hand out at your booth – everyone loves a free pen: they’re incredibly helpful at trade shows, where attendees are likely to make notes and register for services. Offer other small items bearing your name and logo. Notebooks, cups, folders, bags, and even USB drives come in handy, and people are incredibly likely to hold on to them, keeping your brand within sight for months or years to come. Have you visited many trade shows, and if so, what tips can you offer from your own experience?